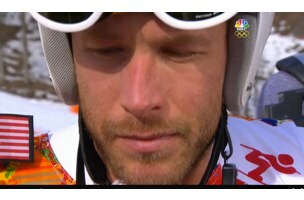 After becoming the oldest medalist in Olympic alpine history, Bode Miller found himself in an interview with NBC reporter Christin Cooper, who questioned him repeatedly about the death of his brother, and how that loss has shaped his experience at the Olympics. While such personal questions are often asked of athletes in this type of situation, Cooper seemed not to take any of the hints that her line of questioning was pushing Miller into an extremely emotional state, and she failed to let up until he had broken down into tears, hidden his face, and had been rendered speechless. In a classy and kind response to the uproar, Miller himself took to Twitter to thank his fans for expressing their concern for his well-being, but also to defend his interviewer. He also retweeted this statement, which echoes the sentiment that Cooper was not solely to blame for the unrelenting questions. Because we think Miller’s handling of the situation demonstrated an above-and-beyond level of kindness, humility and tact, we find the wording of NBC’s statement obnoxious. The line that says the network is “gratified” by Miller’s peace-making reads like NBC considers itself justified or vindicated, rather than seeing itself as being (very luckily) forgiven for a major misstep without even hinting at an apology.